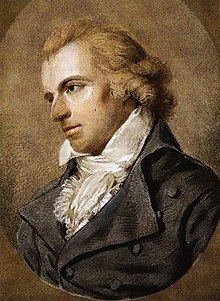 Friedrich Schiller was born on 10 November 1759, in Marbach, Württemberg, as the only son of military doctor Johann Kaspar Schiller��[de] (1733–1796) and Elisabeth Dorothea Kodweiß [de] (1732–1802). They also had five daughters, including Christophine, the eldest. Schiller grew up in a very religious family and spent much of his youth studying the Bible, which would later influence his writing for the theatre. His father was away in the Seven Years' War when Friedrich was born. He was named after king Frederick the Great, but he was called Fritz by nearly everyone. Kaspar Schiller was rarely home during the war, but he did manage to visit the family once in a while. His wife and children also visited him occasionally wherever he happened to be stationed. When the war ended in 1763, Schiller's father became a recruiting officer and was stationed in Schwäbisch Gmünd. The family moved with him. Due to the high cost of living—especially the rent—the family moved to the nearby town of Lorch.